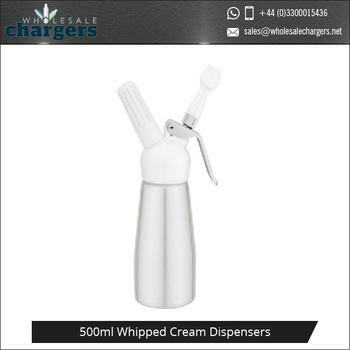 This high quality, performance focused cream whippers is one of the most popular products in our range and is suitable or use in home kitchens, allowing customers to achieve professional results, in the comfort of their own home! 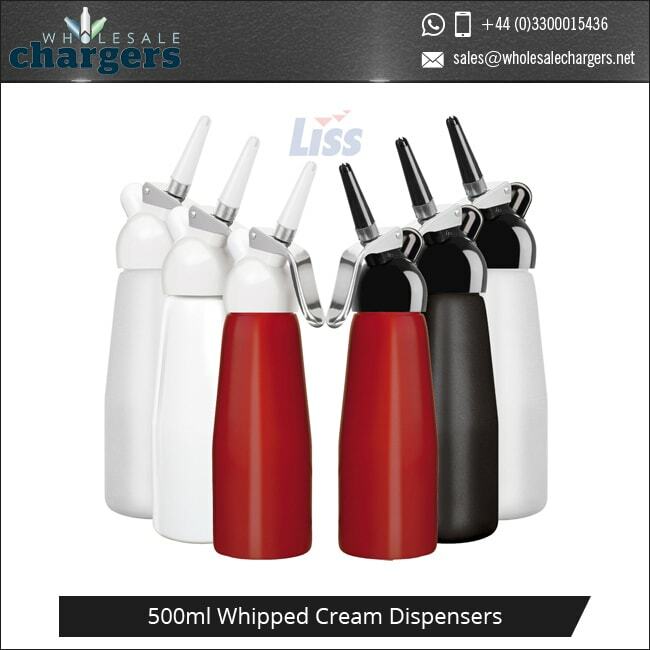 Available in a variety of different colours including black, blue, green, red, orange, white and silver, as well as a number of different sizes including 1/4L whipper which has the capacity to hold up to 0.75L of whipped cream, these cream whippers are sure to become a welcomed addition to your kitchen. 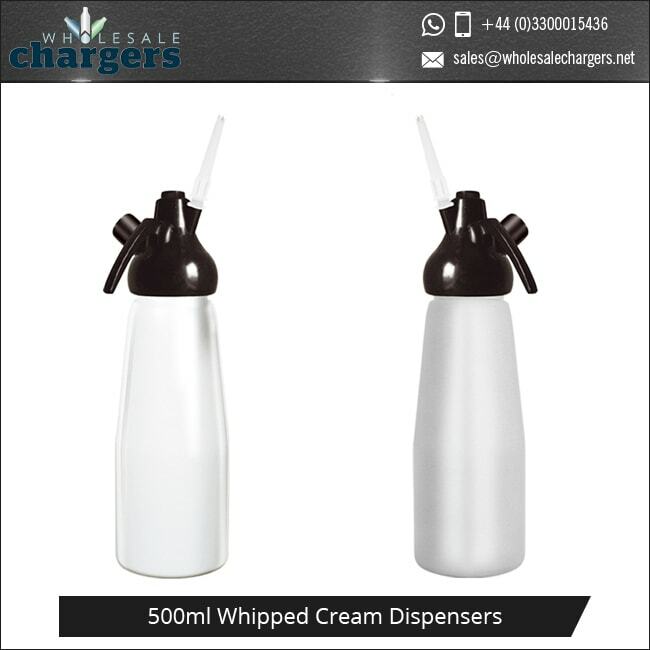 Highly versatile and super easy to use, these whipped cream dispensers make serving up whipped cream and hot or cold espumas a dream, and because they use 8g Nitrous Oxide (N20) cream charger gas cartridges, they are easy to maintain, without it costing the earth. 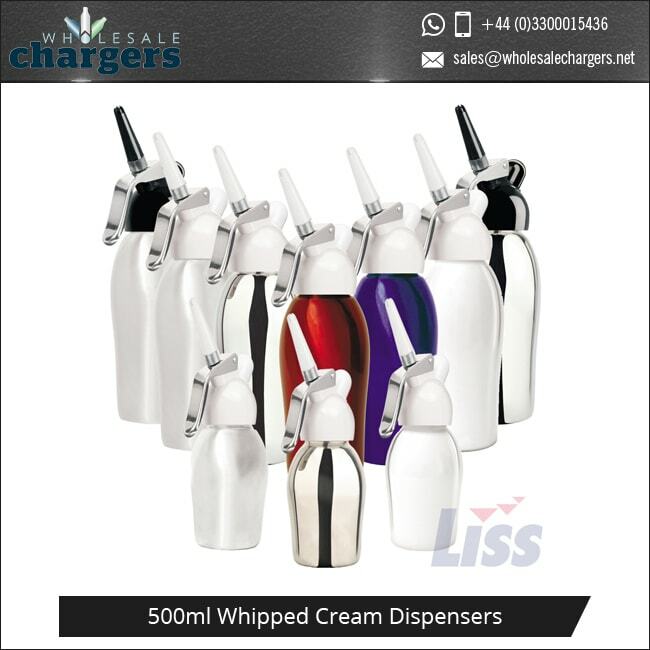 But that’s not all… Nitrous Oxide is also a well-known antibiotic, meaning you will be able to store your whipped cream for longer, keeping it fresh and prolonging its shelf life for up to 10 days! And, because we understand the demands that come hand in hand with home kitchens, you can rest assured that all of our whipped cream dispensers have been manufactured to the highest possible standard, offering outstanding precision, exceptional durability and manufacturing excellence that you will struggle to find anywhere else. Dedicated to delivering the highest standard of customer service, from the moment you get in touch, we will help you to identify the best products for your individual requirements. 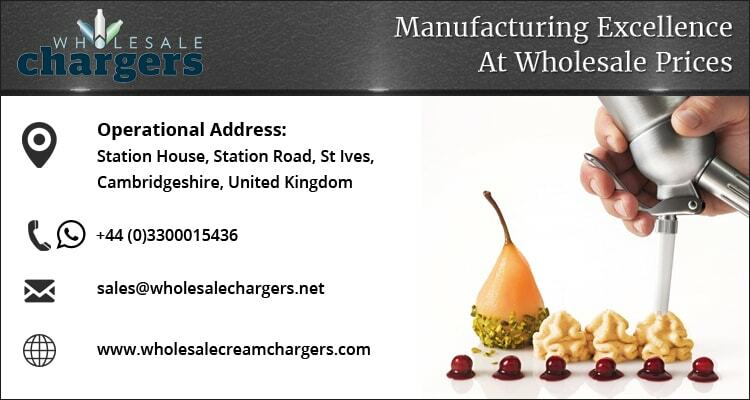 We can deliver all N2O Nitrous Oxide Gas Cream Chargers direct to your address at home or business. 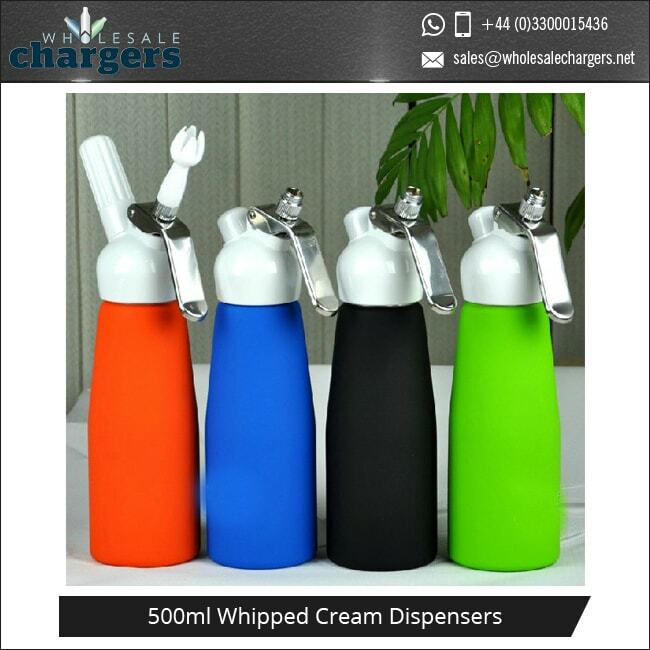 The 500ml whipper will instantly whip up to 1.5 Litres of fresh whipped cream, mousses and hot or cold espumas! 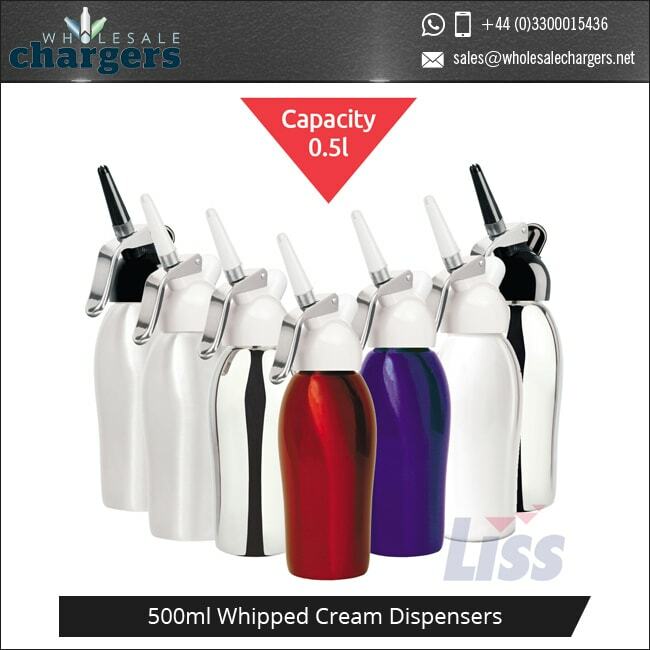 • Only 1 x 8g N2O cream charger or 2g N2 Nitro Charger to be used. 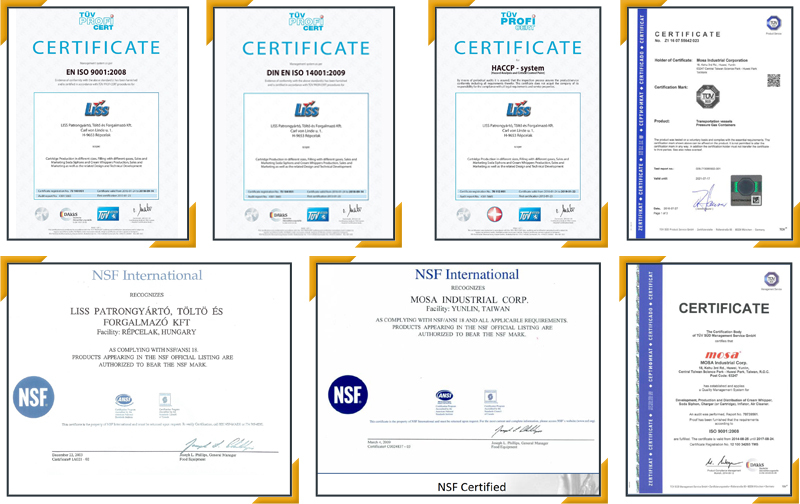 Certification: TüV, FDA, LFGB, DGCCRF, FDA food safety test and food grade standards certification.